You are a motivated seller and you need to sell your Kansas City Metro Area Property. You may have a selling motivation that puts you on a list somewhere, like evicting tenants, code violations, out of state owner, inherited property, etc. 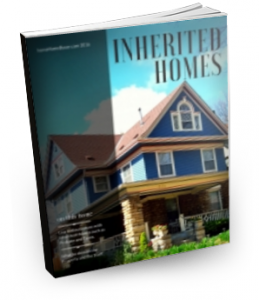 If you are on a list somewhere, you probably will be receiving letters if you have not already received several letters from Investor Buyers. Or maybe you have not received a letter but you have gone online to find a buyer and contacted several people. 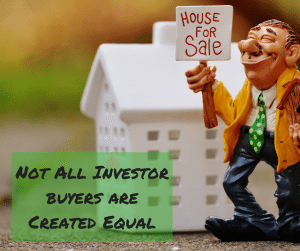 I want to make sure that you understand as a home seller that not all investor buyers are created equal. A few weeks ago, a seller, let’s call him Bob, called us up. He has a house that had been a rental house, he had listed it for sale and it didn’t sell. He thought that it would be worth about $85,000 if repairs were made to it. He wanted about $75,000 for it. 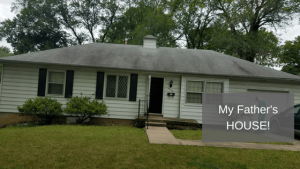 However after we, as buyers reviewed the photos, we really thought we would only be able to offer about $55,000 based on the value of $85,000 after it was fixed up. The amount it would cost us to make the needed repairs, the amount it would cost us to hold it for several months in interest, utilities, taxes, and insurance, the risk of holding a vacant house and then the costs to sell it. Bob told us that $55,000 was way too low and that he had another buyer who had made him an offer in the upper $60’s. So we wished Bob well with his upper $60’s offer, assuming he had another cash buyer like us. Bob’s Buyer was not a Cash Buyer but actually a person who is learning to be an investor, but had received really bad training. Fast, forward about 2 weeks and a newbie investor, let’s call him Joe, emails us with a house. Joe is not the owner of the house. He has it under contract to buy and needs an end buyer with cash who will buy it from him so he can complete his purchase. If I act fast and can close in 3 days, he will part with the house for $85,000 and if it takes me a week, well then he would definitely need $99,000. I look at the house and notice it is Seller Bob’s House. Now I have to say that Joe is doing so many things wrong on so many levels that it’s not even funny. First Joe has no idea what the house is worth or he would not be trying to sell it for $85,000 or buy it for mid $60s. Second, it does not matter if I buy it in 3 days or 10 days, either way, it’s still not worth $85,000 or even the mid $60s he is paying for it. Third, Joe is out there marketing a house for sale that he does not own and that is illegal – unless he is a licensed Realtor with a valid listing agreement with Seller Bob, which he does not have. Now here are some questions we should have asked Seller Bob about his Cash Buyer in the upper $60’s and Bob may have decided he would rather go with all-cash offer closing in a couple of weeks at our lower $50’s price. Question 1: How long they have been in business and how many houses they have bought. Home kcmoHomeBuyer.com purchased, renovated and resold in Raytown. 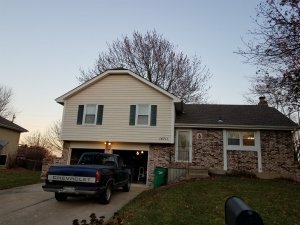 Here at kcmoHomeBuyer we have been buying houses for investment since 1999 and we have bought and sold 100’s of houses and we have only backed out on 1 due to inspections and finding major termite damage that the bank seller had covered up. Fairly good track record over the past 17 years. Many new investors read a book about buying and selling houses and just go out there to try to do a deal. They know nothing of what houses are really worth, what repairs will cost, how to figure out holding costs and other expenses. They just agree to whatever price the seller is asking and then try to sell it. If they can’t sell it they either walk away from the deal or ask the seller to lower their price, either way, they are really out nothing. The seller, on the other hand, has just lost valuable marketing time and had to pay several more months of mortgage payments, taxes, insurance, utilities and maintenance. Do you really want someone who has no idea what they are doing wasting your time? Question 2: When will you be closing? Time and again, here at kcmoHomeBuyer we get beat out by a higher priced offer. However, that higher priced offer is going to take 30, 60 or 90 days to close. Why? Well, you see the buyer does not have any intention of buying your house unless he or she finds a 3rd party to buy it. Here’s how it works Bob gets a contract for Joe to buy for say $65,000. Then Joe goes out and tries to sell it for $85,000 to kcmoHomeBuyer. Joe needs to proceeds from his sale to kcmoHomeBuyer so he has the money to actually buy the house from Bob. And if kcmoHomeBuyer can’t buy or in our case tells him he is way off in his numbers, Joe will keep marketing it to every potential buyer he can find until his 30, 60 or 90 days runs out. And if he can’t find that third-party buyer, Poor Seller Bob does not sell his house and has to start all over marketing his house for sale. If kcmoHomeBuyer writes a purchase contract on your house for a specific dollar amount, we will be closing on it on the date in the contract, which is typically about 2 weeks. Sometimes it can be sooner and if you would like it to be later, we can do that too. Question 3: What are your intentions? Find out what the buyer intends to do. Ask them point blank, are you going to buy it on or before the closing date or are you just trying to find a wholesale buyer who will buy it from you? If they are trying to find a wholesale buyer, then you have your answer. 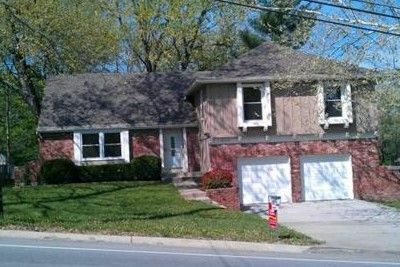 At kcmoHomeBuyer we sometimes wholesale our houses on, but only after we have paid cash at closing and then marketed the house out for sale. We will often come in and make minor repairs or sometimes completely renovate the whole house and then sell it. If you have a house that we just don’t want to buy, either its not our area, the condition is just to scary (we have only ever found one house that was just too scary) we have other options we can offer. The newbie investor does not, he or she has not been in business long enough to have developed contacts and options to help the seller out. Question 4: Are you licensed? Not all investor buyers hold a real estate license. It is not required. We are licensed Realtors and we find this to be a very helpful tool in our toolbox if your house just does not fit our criteria. We usually come across one or two sellers’s a year that want more for their house that we would be willing to pay. However, we also think they have a great property that we could sell for what the seller is asking and still get paid a commission and do it in a timely fashion. We have even referred our contractors to a few of these sellers who had the time and the money to do a bit of updating to get top dollar.